Leading the way and operating with excellence are our primary objectives at Dragon Drilling. We comply with the latest industry regulations and quality standards to ensure we add value wherever possible. We combine our vast expertise with the latest advancements in technology to ensure we fulfil the exact requirements of every project. Dragon Drilling was awarded the prestigious quality standard ISO 9001 in February 2009 in recognition of our quality management system. This award demonstrates our ongoing commitment to providing the highest quality service and establishes Dragon Drilling as a leader in the drilling industry. Dragon Drilling is a member of the British Drilling Association, the safe-contractor-logoUK’s trade association for the ground drilling industry. The British Drilling Association is committed to improving standards in Health & Safety, quality of workmanship and technical proficiency for the benefit of the drilling industry and its customers. 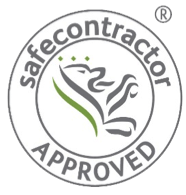 Safe Contractor is a health and safety accreditation company who ensure the highest standards are adhered to in the construction and civil engineering industry. Is a national association whose members promote Ground Source as a sustainable use of renewable energy. All members must adhere to a code of conduct to ensure quality and professionalism.